Update - 26th November - these seem likely to be going to West Coast Railway Company. Update - 5th January - now appear to be going to Colas! 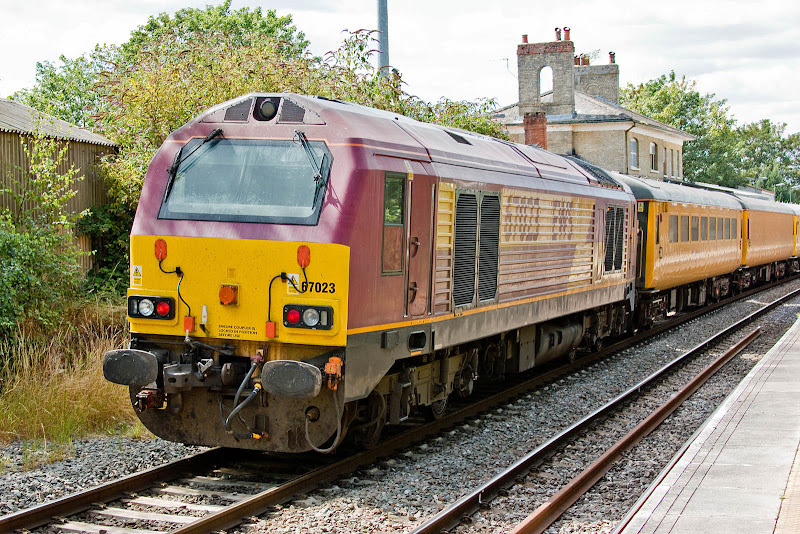 67023 at Romsey, 30th July 2015. The locomotive continued in use until September 2016. 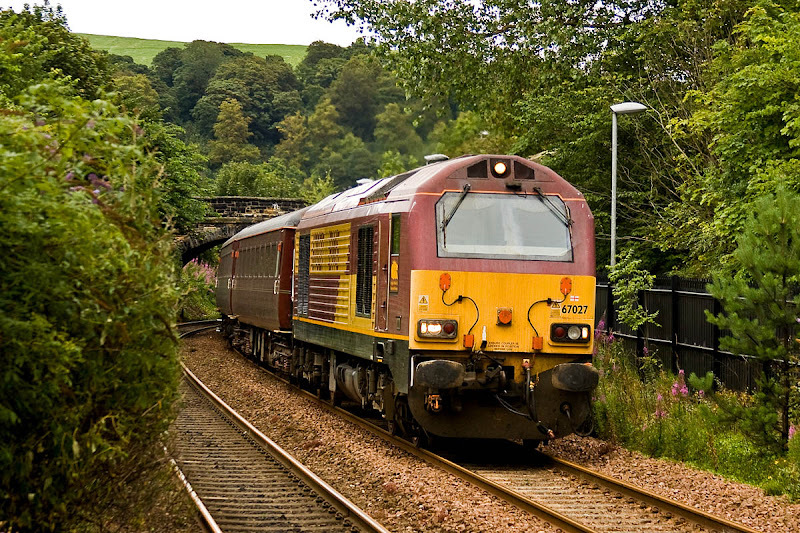 67027 on the Fife Circle loco hauled at Aberdour on 1st August 2011. This was stored in April 2015, in DB Schenker red. Discussions: WNXX Forum - RailUK Forums - expectations seem to be for a sale to Network Rail / Colas for test train operations.